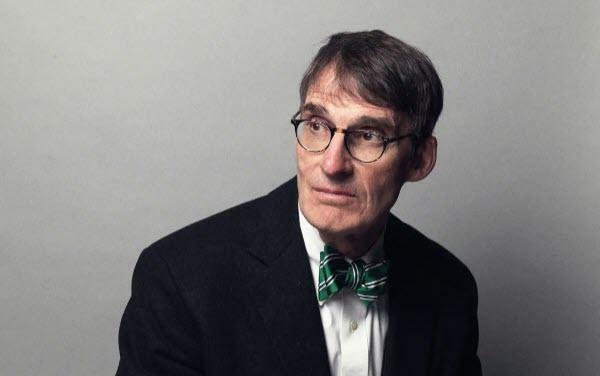 James Grant, editor of the renowned investment newsletter «Grant’s Interest Rate Observer», warns about the growing herd of corporate «zombies» and other fatal market distortions caused by modern monetary policy. Once again, the expedition to go back to normal has been postponed. After the big market scare at the end of 2018, central banks have abolished their plans to tighten interest rates further. Wall Street loves it. The first quarter has been the best one for risk assets in a decade, and after Lyft’s successful going public, a record year for IPOs seems to be in sight. Jim Grant observes the madding crowd from a sober distance. «Interest rates are the traffic signals of a market economy. Turn them all green, and errors and pileups abound», says the sharp thinking editor of the iconic Wall Street newsletter «Grant’s Interest Rate Observer. He states that a decade after the financial crisis, many companies are so heavily addicted to easy monetary policies that they wouldn’t be able to survive on their own. Consequentially, the proficient value seeker has a hard time to find attractive investments in today's markets. Where he spots rare opportunities, he tells «The Market» in this extended interview. Mr. Grant, once again, the Federal Reserve is giving investors the green light. US equities are off to their best start since 1998. What’s your take on the current state of the global financial markets? Stocks are up, bond yields are down and economists are speaking of full employment: Everything seems perfect and improving. But I remain a non-believer in these modern monetary methods. If it were this easy, mankind would have solved the economic problems a long time ago. For quite some time, you have been warning that extreme measures like negative interest rates and quantitative easing will get us into trouble. But so far, the central banks remain confident that their policies are working. What we see is an attempt to make things smooth and to forestall crises through keeping interest rates very low. But central banks are arsonists and firemen. They are arsonists because they strike the matches which set off the fire. It’s like an underground fire in a coal mine: You can see the smoke seeping up out of the ground and the ground is warm under foot, but you can’t see the flames. Then, time passes and the fire spreads and becomes more fierce and hotter. Finally, it bursts out of the ground. That’s in some way what happens in the credit markets. Robert Kaplan, the President of the Dallas Federal Reserve for instance, recently came out and said he is worried about the buildup of corporate debt, especially the lower rated portions of that debt. He’s concerned about the risk that this debt is coming on the market in great waves during a recession. Therefore, the Fed should be very careful with raising rates, he argues. So basically, what he is saying is that the Fed must keep rates low to perpetuate the debt cycle which has given us an excess of debt about which he is worried. This is crazy, right? How concerning is the situation in corporate credit really? In a recent issue of «Grant’s Interest Rate Observer», we have a story concluding that many companies would get into trouble if the real interest rate on ten-year treasuries rises over 1%. These businesses are so leveraged that they can’t cover their debt payments at levels even as humble and as low as a 1% real interest rate on ten-year treasuries as it translates into corporate borrowing. Just look at the growth in the herd of listed zombies; companies whose average operating income has fallen short of covering the average interest rate expense over three consecutive years. As it turns out, the corporate living dead, as a share of the broad S&P 1500 index, are close to 14%. Former Fed-Chairman Ben Bernanke once tried to reassure everyone that the Fed could raise rates in 15 minutes if it wanted to. Well, it turns out the Fed cannot do that. So, it’s a brave new world we’re living in. By that I mean that the suppression of interest rates has served to advantage one class of people: The savers have been disadvantaged whereas big banks have been very greatly advantaged, and the financial community has been advantaged. In short: the saver’s loss has been the speculators’ gain. So, the ordinary working person has been disadvantaged and that is apolitical. To speak metaphorically but, I still think truthfully, that kind of policy is bordering on criminal – and I stand by that. Now the Fed wants to pause raising interest rates at least until 2020. And the Trump administration even demands a rate cut of 50 basis points. What does it mean when, nearly a decade after the end of the recession, the US economy can’t stand short term interest rates of more than 2,5%? To me, the «economy» is one of these abstract concepts. It doesn’t really exist except in our minds, but people talk about it as if it were their cousin or their next-door neighbor. «The economy is going to grow 3.2% in nominal terms in the next nine months adjusted for seasonal factors», they say for example. But how do you really know that? So, I have become a little bit agnostic about these big macroeconomic concepts; not to depreciate their importance but to acknowledge one's ignorance in the face of the unmeasurable. Then how do you get an overview of the big economic picture? We tend to focus on individual securities and on credit broadly defined. That is to say on the capacity of incumbent businesses to make good on their debts. We look at the bond market, we look at the track of interest rates, and we look at the Zeitgeist to see how people are positioned. And what do you observe? There is a lot of spoken or rhetorical worry: People say that there is a risk of recession and they talk about the difficulties facing America in the context of the still unresolved trade dispute with China, but the way they invest seems to be not so very worried. For instance, the stock market is close to its all-time high and the recovery from the lows of December has been most dramatic. What does this say about today’s Zeitgeist? Here’s one indicator of the Zeitgeist: Uber is expected to become public this year. Now, Uber is unprofitable and it is unit unprofitable, meaning that the company doesn't make money on a micro economic basis. And, it seems as if a larger scale of operations will not make it profitable. That’s why we think Uber is doomed to be unprofitable. So, what is a perpetually unprofitable business worth? Here at «Grant’s», our bid for such a company is zero. But at Wall Street, the ask price, the offering price for Uber, is estimated to be as much as 120 billion dollars. That’s called a wide market! Where else do you spot things that make you go hmmm…? There are all sorts of crazy stuff. The craziest, of course, is that around 20% or $11 trillion worth of bonds worldwide are priced to yield less than zero. This is the greatest non sequitur in finance. David Hume, the great Scottish philosopher of the mid-18th century, observed that «no man will settle for low interest when he can have high profits or, for low profits when he can have high interest.» But today, at least in the US, profit margins are very fat and the ratio of equity market capitalization to GDP is very elevated. And yet, interest rates are very, very low. Not so low as they are in Europe or Japan. But the ten-year treasury yield which is meant to be the benchmark sits at around 2,4%. So, after inflation and tax there is nothing left. There is no real yield available, at least until the ten-year point of the treasury curve. What does this mean for a country like Switzerland where interest rates are deeper in negative territory than anywhere else in the world? The Swiss have let us know – and in no uncertain terms – that they want the Franc to be a currency which allows them to compete internationally. And, to reach the desired exchange rate, the Swiss National Bank will create immense amounts of new Francs with which to suppress the unwanted appreciation of the Franc. That’s the message. But is this a hard currency? Sure, the Franc is a relatively stable currency against the Euro. But is that the standard? Keeping up with Mario Draghi? I don’t think so. Point taken. So, what would you advise the Swiss National Bank to do? Let me not advise the Swiss National Bank. The SNB has difficulties regarding the exchange rate of the Franc which are rather more complex than perhaps I appreciate. It’s obvious that negative interest rates are destroying the bond market. But I’m not sure what the consequences might be in Switzerland of doing what I would have the SNB do. So, let me advise the Federal Reserve instead. Sure, what would you do if you were at the helm of the world’s most powerful central bank? Sounds straightforward. But how would the financial markets react? They would consider it as very radical and very unhelpful. But the way forward is to somehow reinstitute the interaction of supply and demand on Wall Street and to get the Fed out of the business of wholesale manipulation of values. Because today, the Fed is expected to intervene when things go badly and what this has given us is immense distortions. So, here’s the real question: Would someone actually be prepared to absorb a deep recession and be blamed for it? It would be hard to do, wouldn’t it? That’s why I wonder whether it’s not too late. What should investors do in this market environment? We don’t make portfolio recommendations. We analyze security by security based on Graham and Dodd’s investing principle on the margin of safety. You can’t help but notice that there is very little margin of safety in today’s world. But there are certain securities which meet this requirement. For example, we are bullish on Genco Shipping and Eagle Bulk Shipping since there is hardly anything else in global markets approaching the pessimism and fear embedded in these very cheap stocks. This means there is an attractive asymmetry of the return profile when things turn out better than people expect. Also, we know that many of our readers are income seeking investors. Therefore, we recently have recommended some closed end bond funds which are trading at a discount to their net asset value. So, there is some safety there. Although, if the Fed does decide to raise rates, you’re at risk that the cost of financing those portfolios would go up and your total return would go down. You’re also known to be a loyal admirer of gold. What’s your outlook for the precious metal? Here is the best thing about gold: It yields more than 11 trillion dollars’ worth of bonds. So, it’s a high yield asset. Then again, there doesn’t seem to be much love for gold right now. I know, it’s a little bit of a disappointment. It seems as if gold were not reading the newspapers. But seriously, I really wish gold had done better, and I wish it were doing better. Yet, I’m as convinced as ever that gold is an attractive and rational alternative to these monetary shenanigans and to the consequences of ten years of artificially imposed ultra-low interest rates. Unfortunately, when this great bet pays off is hard to say. And how about gold mining stocks? At this point, I would just recommend a basket of gold mining stocks. I don’t want to get into specific names since we haven’t written about mining stocks for some time. That’s because I don’t want to wear out the patience of my readers on gold. I ration myself in this regard because the only thing which is worse than being wrong is being repetitively wrong. So, before we get back to picking individual mining shares, I want to see gold breaking out first. I want see it prove itself above $1350 or $1400 per ounce.